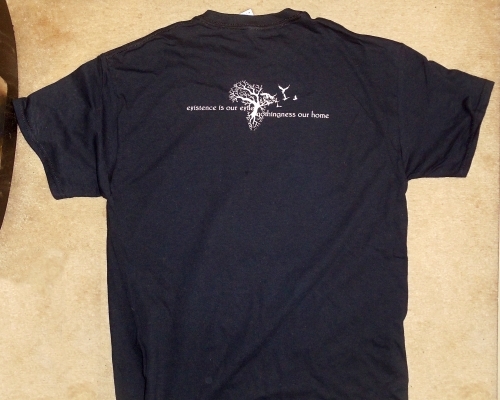 Some while ago we announced a plan to design and print site T-shirts, and we are pleased to say that project is now complete! The artwork is all exclusive, and courtesy of our very own baphomet. 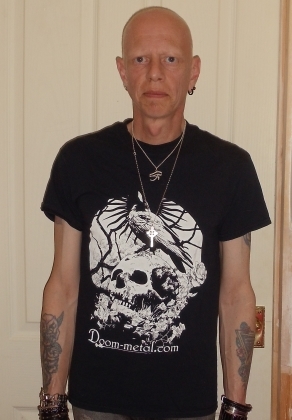 The shirts are black Gildan heavy-duty, slight-rib cotton, with white discharge printing, and we have limited numbers in different sizes currently available for sale at the price of £12 + p&p. 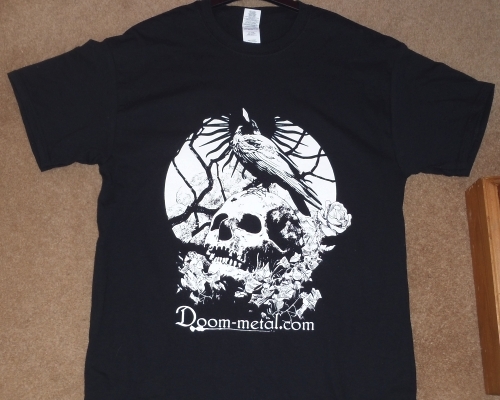 If you are interested in buying one, please contact us at info@doom-metal.com - it'll be first come, first served (though if there's sufficient demand, we may well consider a second print run). Rest of World - £18. To keep cost down - that's regular untracked postage for which we, unfortunately, can take no responsibility should it get lost in transit. Anyone preferring some form of registered delivery will need to specify that, and there will be an extra cost involved (expect up to £5 additional, depending on where it's going).